GEELONG AFTER DARK is a free event in various venues and streets around Geelong. 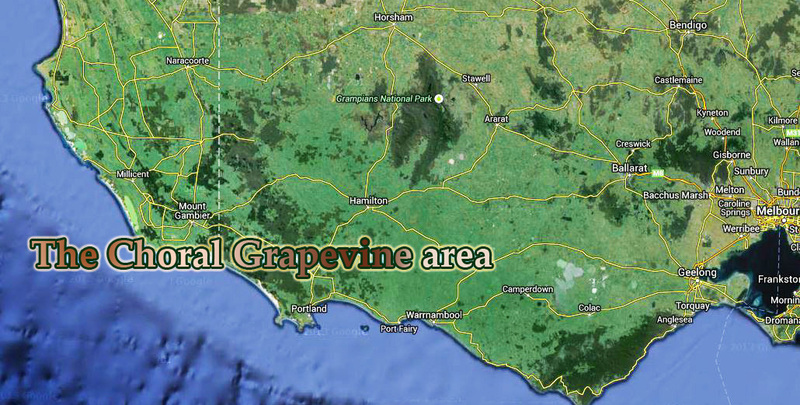 To see the full program go to the Geelong After Dark website. Saturday, 4th May, 2.30, St Mary’s Catholic Church, 3 Gellibrand St, Colac VIVALDI GLORIA presented with orchestra and solists by the Colac Chorale and the Ballarat Choral Society conducted by Helen Duggan. $20 Tickets and at the door. 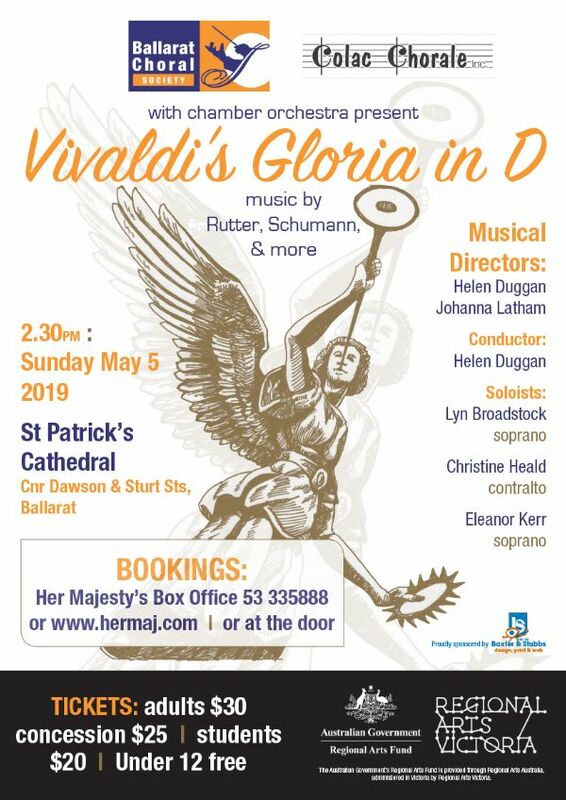 Sunday, 5th May, 2.30, St Patrick’s Cathedral, cnr Sturt and Dawson Sts, Ballarat VIVALDI GLORIA presented with orchestra and solists by the Colac Chorale and the Ballarat Choral Society conducted by Helen Duggan. Booking Her Majesty’s Box Office: ph 03 5333 5888 or online at this link. Tickets will also be available at the door. Sunday, 5th May, 2.30-5.30 Vines Road Community Centre, Vines Road, Hamlyn Heights GEELONG HARMONY’S HI-HO SILVER JUBILEE CELEBRATION Friends, ex-members and supporter of Geelong Harmony are invited to join the singers for high tea and music. This is a free event, but bookings are required. To book go to the choir’s Facebook page. Prebooking required so scores can be ordered. DVORAK AND BRUCKNER presented by a The Warrnambool Organ Festival Chorus – massed choir of singers from around the Warrnambool region, conducted by Patrick Burns with organist, Craig Doherty. The program features, Dvorak’s Mass in D and the Bruckner Te Deum. Soloists: Louise Keast (soprano), Sally-Anne Russell (alto), Douglas Kelly (tenor), Michael Lampard (baritone).